The economically priced Fortune Edge Multi-Section Series is comprised of around 7 different 28-foot wide models, ranging in size from just over 1,170 square feet to around 1,813 square feet. 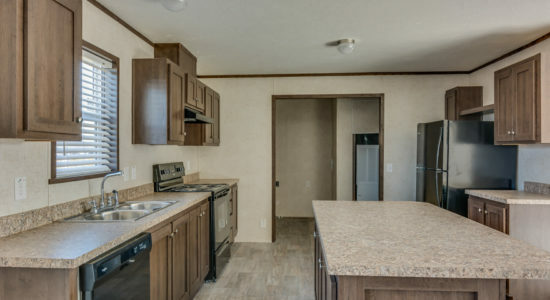 These medium and large mobile homes typically have 3 or 4 bedrooms. Prices start in the low $40’s. All Fortune Edge II Multi-Section models come equipped with an impressive array of contemporary standard amenities such as nationally recognized brand name appliances, factory crafted cabinets and modern fixtures. As an added benefit and for peace of mind, a "2-10" Year Structural Warranty is also standard. Please visit our factory located model village to learn more.